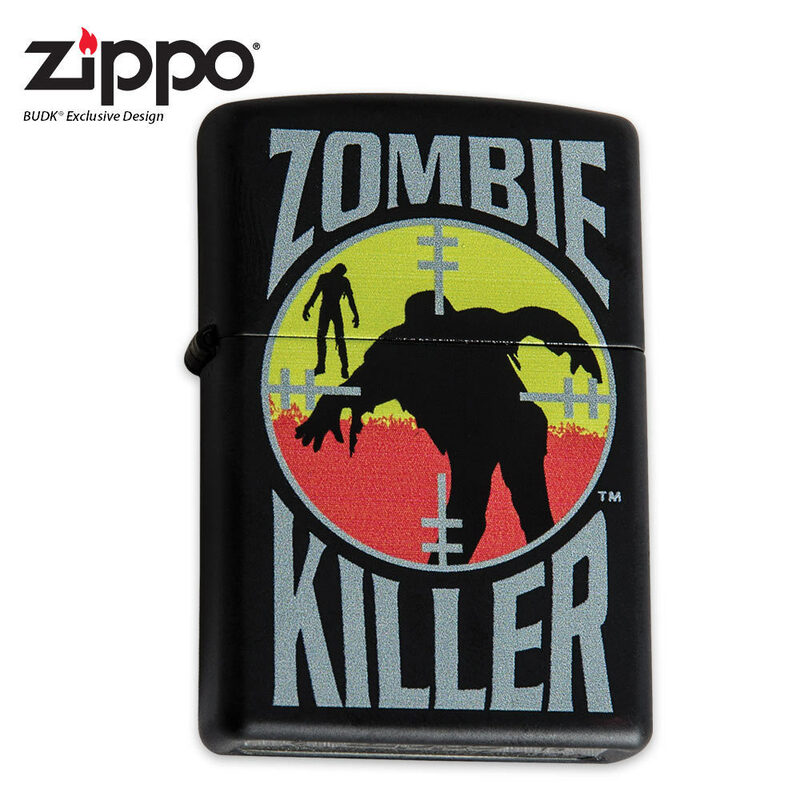 Zombie Killer Zippo Lighter | BUDK.com - Knives & Swords At The Lowest Prices! Carry this lighter with you during the Zombie takeover! This windproof lighter is made in the USA and features a black matte finish with full color laser and print artwork. The Zombies will be running from you when you carry this lighter!